This duffel has two zippered front pockets for accessories, a padded handle wrap and adjustable non-slip shoulder strap. 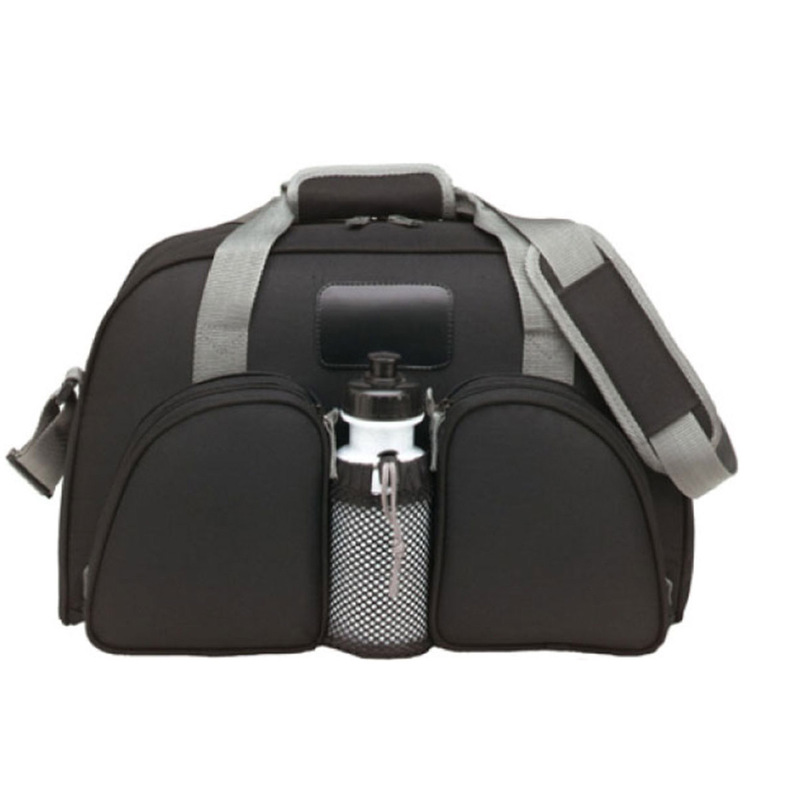 It also includes a front mesh pocket to fit a water bottle or accessories and a large zippered main compartment for sport or weekend use. Permanent hard bottom. Bottle not included. Imprint Area: 2.87" x 1.87"